Are you looking for a part time position in a fun environment? 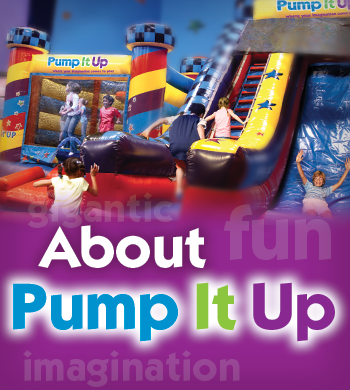 We at Pump It Up are always looking for people with lots of energy and are very outgoing! If you have experience working with young children, please fill out our application (under Employment) and email to us at pumpitupva1@ntelos.net or come by and drop the application off at 255 Cecil Wambler Road in Mount Crawford. If you have any questions, please give us a call at 540.434.7867.